Photos from Saturday 20th July late morning. It was a beautiful day, hot and sunny. A nice drive to the Ribble Steam Railway and Museum for starters. Nip into the cafe and then wander round before taking the train on its trip along the docks. Lots of good steam and smoke smells and at the end lots of smoke being blown from the chimney. Look round the musuem and workshop and notice their new building under construction. 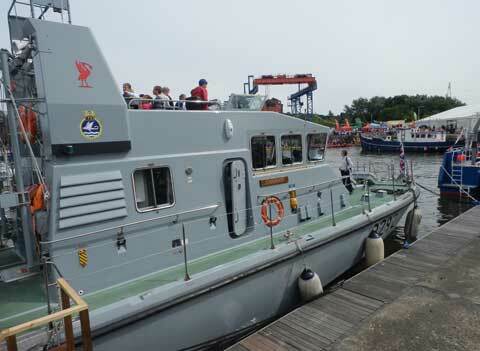 Drive to the Car Park near the locks and walk to the bullnose and then round the dock basin to the main dock. Quite a lot of people although doesn't seem as busy as last year, a bit earlier in the day though. The barges create a splash of colour on the south side. 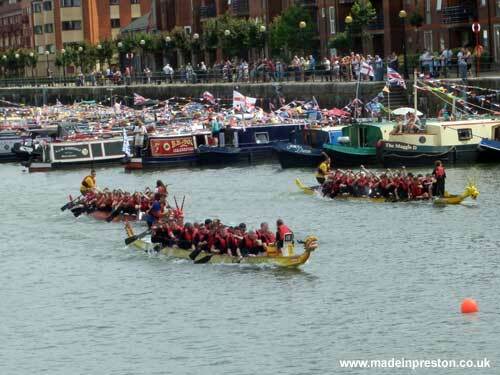 The dragon boats make a good scene with the shouting and drum beat. The winning boat always looks more together than the ones behind. A lot of charity tents near the locks. 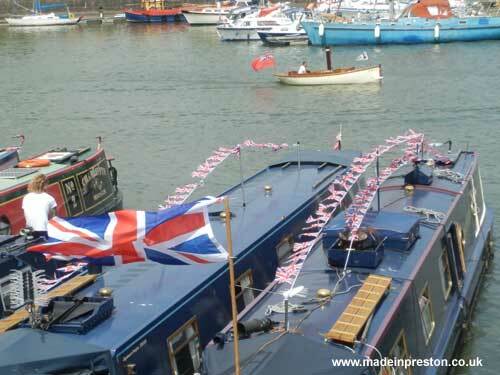 Preston Marina are running a ferry round the dock. Disappointed that HMS Charger or similar isn't here. 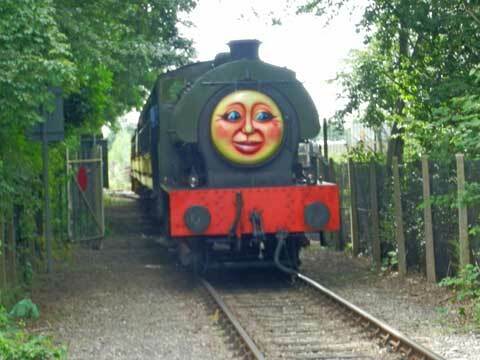 The Ribble Steam Railway was good, as was the weather. Noticed later I missed the Manxman display. It was probably hidden among the charity tents. Overall a good day out. 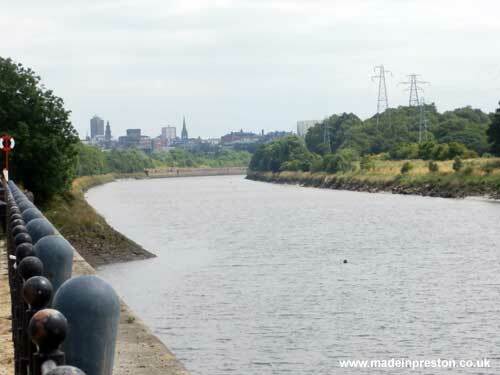 The River Ribble from the bullnose looking towards Preston. This part of the river is a man made diversion. 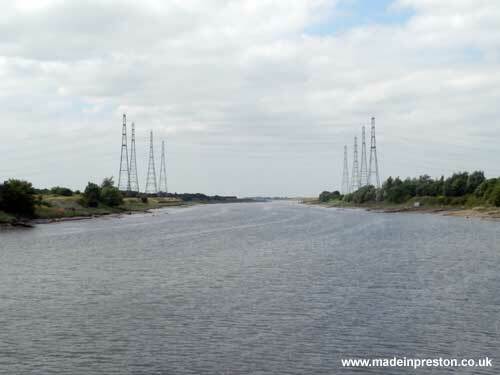 The River Ribble from the bullnose looking towards Lytham. 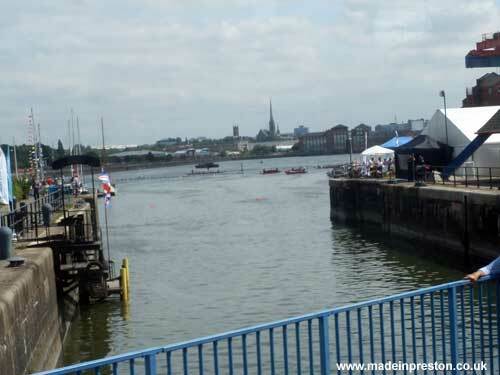 Preston Dock from the Ribble Steam Railway train crossing the swing bridge. Ribble Steam Railway Museum, English Electric, Made in Preston loco. 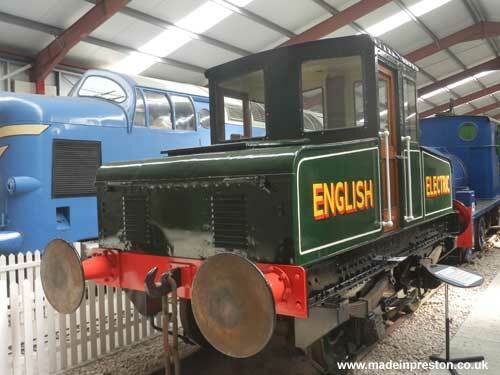 English Electric, Made in Preston loco. 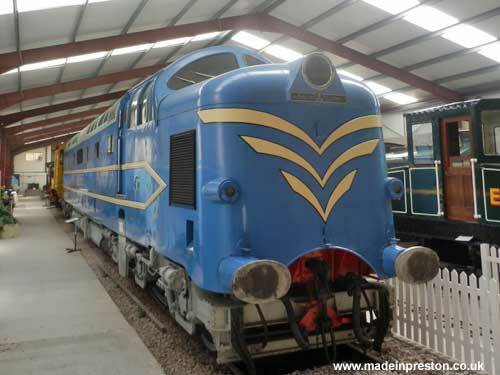 Deltic Prototype, on loan from the National Railway Museum. 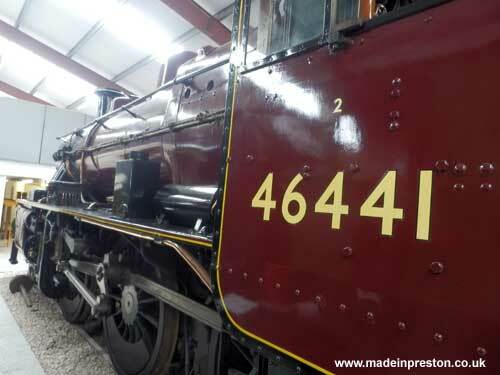 46441 inside the Ribble Steam Railway Museum. 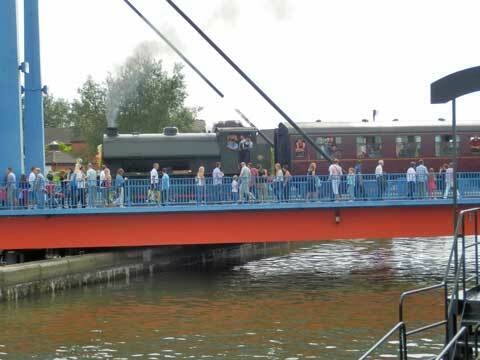 Ribble Steam Railway 'friendly' engine crossing the dock swing bridge. 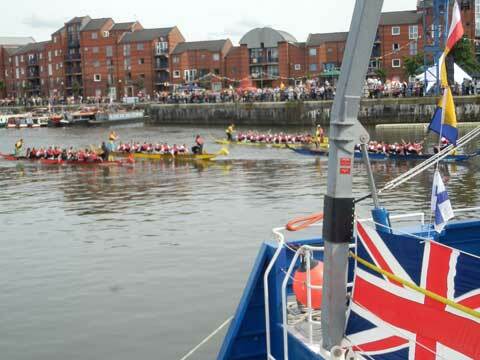 Dragon Boat race on Preston Dock. 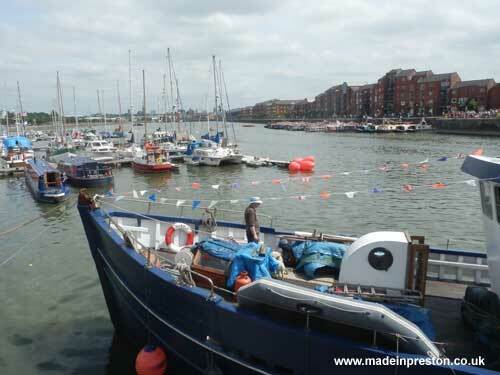 View over Preston dock from the north side. Saturday Weather forecast in Preston Lancashire for the Riversway Festival Opening Day 20th July 2013 - a sunny day 24 degrees maximum. 'This year is 30years since the Manxman sailed into the Dock and we are holding a special exhibition of Prestons Rich Maritime History including Manxman memorabilia. To house this Marcus Worthington has kindly sponsored the Marquee for which we are very grateful. Friendly engines at the Ribble Steam Railway - Opens 10.30 for a train ride through the docks, great museum and workshop as well. A warm, sunny day on Saturday 22nd July 2012 for a late afternoon visit. Plenty of people about. 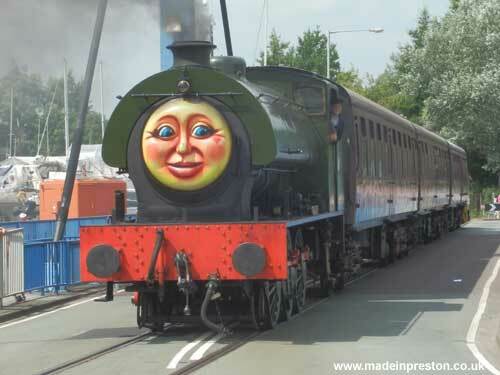 Ribble Steam Railway saddle tank with Thomas face chugging about with 3 carriages. 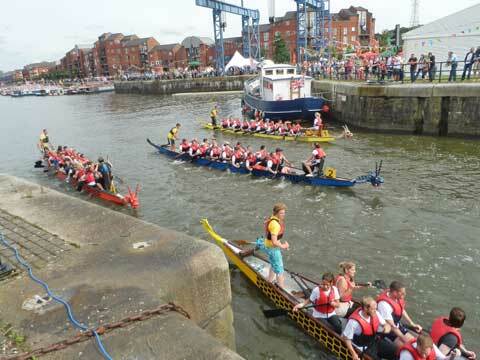 Favourite part was the Charity Dragon Boats racing up the docks. Looked and sounded a load of fun. To the right the Marquee where jugglers, folk singers and rock bands played. Further up are the canal barges.